ABOUT ME: I’m April Ifunanya Okwuobasi. A goofy, a bit bossy(i'm an Aries), but a kind girl who loves to enjoy life. Born and raised in the small town of Aba, Enyimba city, Nigeria, but currently living in the United States. Added to being a blogger, I'm a Cosmetic Chemist, founder of April Lashes, a YouTuber, and fashion model represented by the Campbell Agency. Some of the notable clients I have worked for include Neiman Marcus, Stanley Korshak, Alice + Olivia, MaxMara, MaryKay, Cadillac, BSN sports, and the US Navy (click on my portfolio page here to learn more). 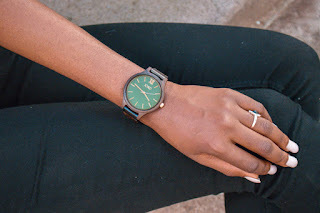 ABOUT THIS BLOG: On this blog, I will share aspects of my life, things that I love i.e fashion, trending news, travel, interviews (Basi Bants), beauty, blogging tips, and real-life issues we face as young adults. As a teenager, I always loved the art and the creative world, which led me to start a popular students magazine back in high school. I especially love fashion and the art of styling, but I never really thought to make it a part of my life. With this blog, I will share with you my style (think timeless meets chic x edgy), my journey in modeling, and pretty much any and everything I am passionate about. Enjoy! I will update this as I go through my life journey.